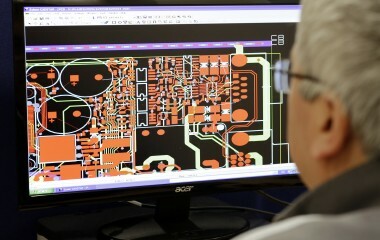 BTROS Electronics has a large in-house custom electronics design, manufacture and service facility. Our design capability enables fully customised solutions, covering hardware and software. Due to undertaking full projects in-house, we’re afforded the flexibility to deliver exactly what you need, when you need it, without compromise. We utilise our supply chain, in-house engineering team, including electronics, hardware, software and mechanical and also offer ECB layouts, done in-house – we don’t contract any of it out. In terms of project management, you benefit from our full autonomy and control over your project, with just one contact who will always know the progress and status of your order, whenever you call. Our depth of experience in the design for our own purposes, allows us to offer our knowledge in a service that we’ve rolled out to you. Utilising the latest electronics technology and best practice, we can custom make your electronics to the highest standards.